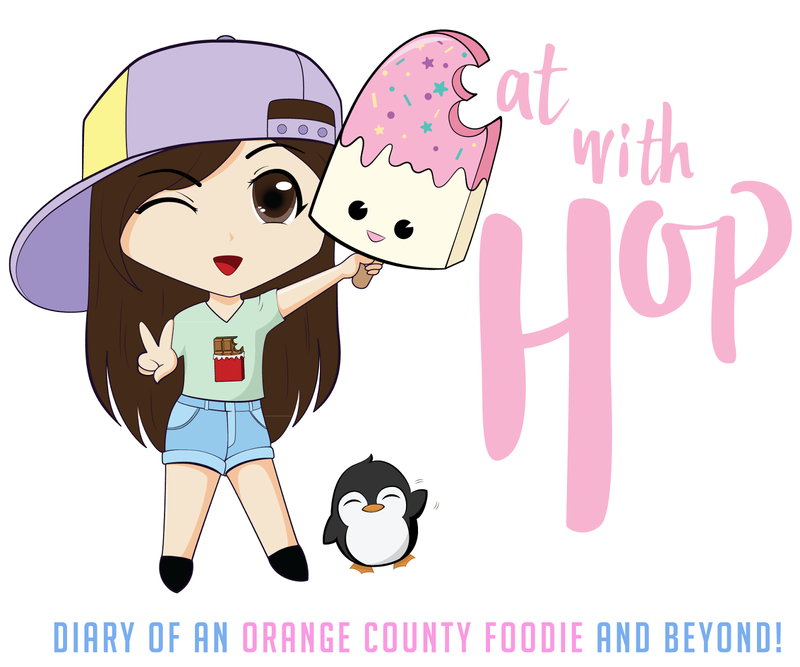 Oct. 24 - 31 | Get A Taste of Thailand For Just $20 @ Mai Thai Restaurant in Fountain Valley - EAT WITH HOP! 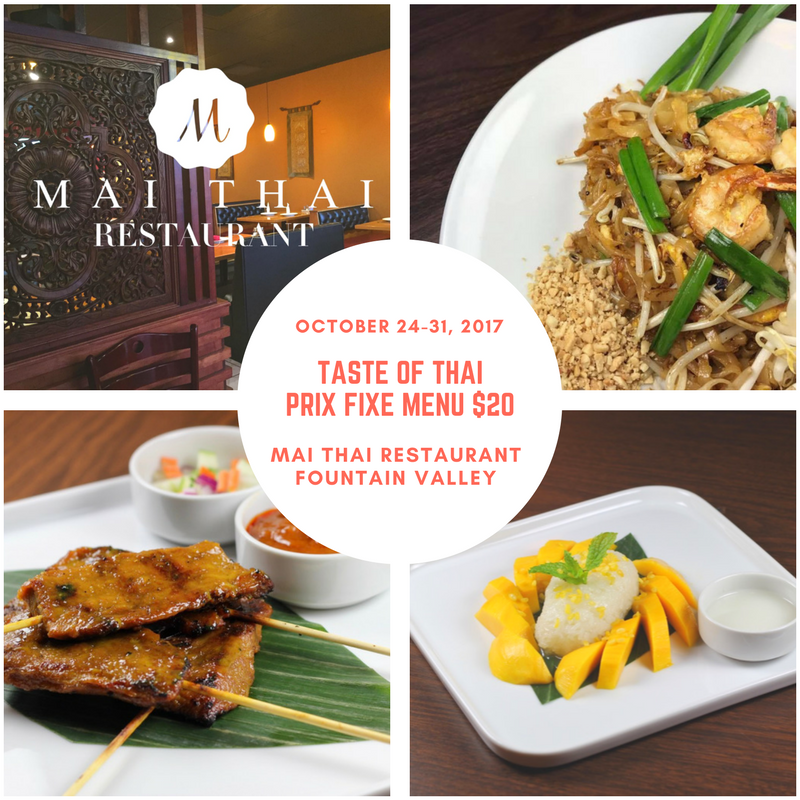 Mai Thai Restaurant, located in Fountain Valley, is offering a prix fixed menu to guests on October 24 through 31 with popular favorites including Tom Yum Koong and Pad See Ew. If you're looking to get a Taste of Thailand without leaving the country, this is the spot! Like this plate of Pad See Ew with shrimp. DOESN'T IT LOOK DELICIOUS?! What does this awesome deal for only $20 get cha? Your Choice of Fountain Drink! Featured here is the Beef Satay! I really enjoyed the mango sticky rice here too! It was actually my first time and reminds me of the Vietnamese dessert called Xôi! I personally love the Eggplant in wine Sauce! I thought it was one of the most unique things I've ever tried especially because I didn't even realize it was eggplant unless somebody would have told me. I think this dish is perfectly crispy with thin batter and has a good mild sweetness to it. 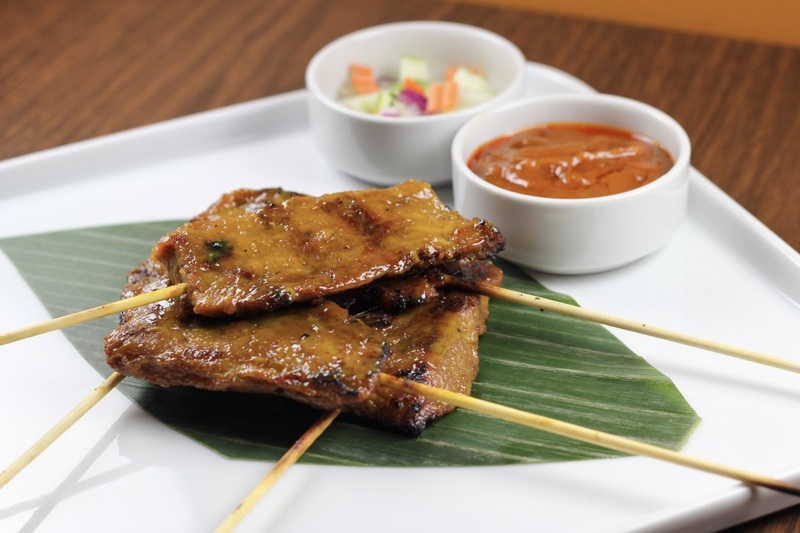 Chicken Satay is tender and delicious! The Fried Shrimp Roll always makes for a great snack. It reminds me of those Vietnamese shrimp rolls because it's wrapped in rice eggroll paper and fried. The Papaya Salad is great if you're looking for something refreshing but I would totally order the Larb Salad again because of the spicy pork! 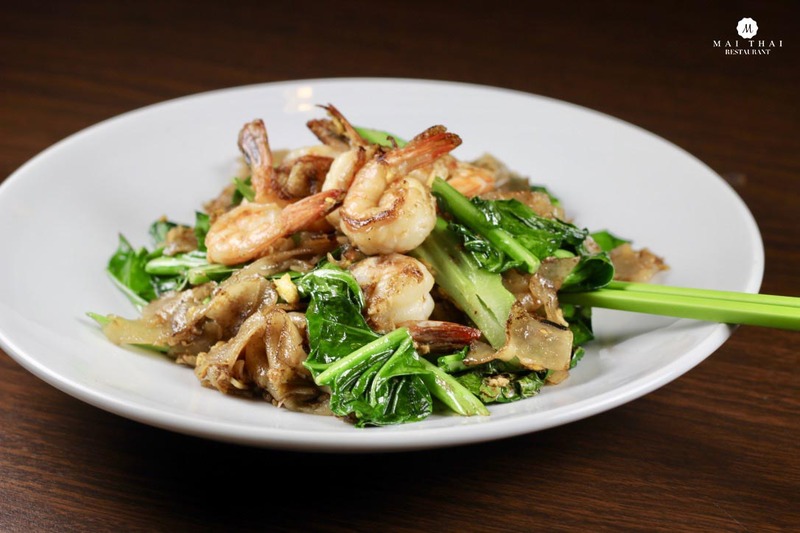 Pad See Ew is another good choice if you love spicy flat noodles! 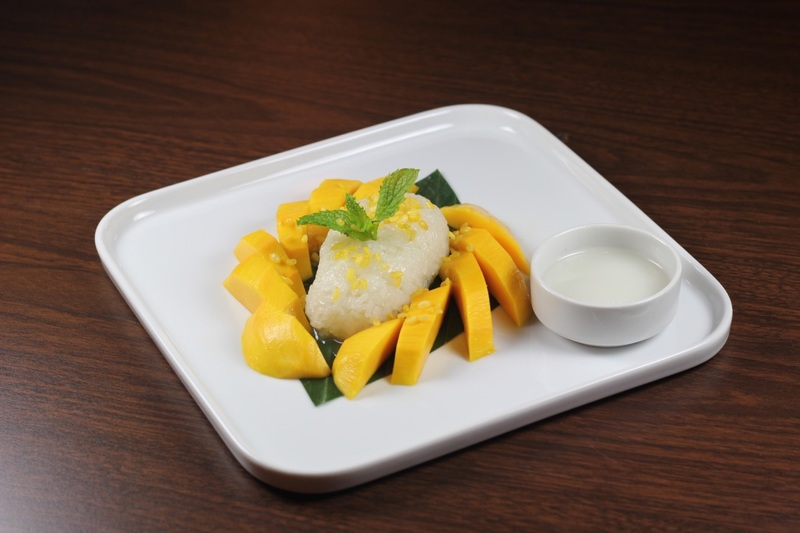 Mango Sticky Rice uses fresh mangoes and the rice is not overly sweet. Just the right amount of sticky. For $20, I think this is quite a steal because the food you get is like a sampler! If you decide to go with a friend and get two $20 prix fixed meals, remember to order different items so you could try different things!